For some photographers, creating a WordPress website isn’t just about having a place to show off their photo galleries. While a website can be a fantastic way to generate brand awareness, boost your potential for future sales, and demonstrate your skills, it can open the door to additional opportunities too. For instance, you might want to sell some of your photos to those seeking a little bit of artistic inspiration. Of course, if you want to transform your photography website into an effective eCommerce website, then you’ll need the right tools. Specifically, you’re going to need an eCommerce plugin. WordPress eCommerce plugins come in many different formats – from those specifically intended to sell digital goods like photos and eBooks, to those more suited to physical goods which require inventory management and shipping calculations. Choosing the right plugin means figuring out what features you need, and which tools can help accomplish your online goals. It also helps to make sure that you have a theme or gallery that integrates well with your eCommerce platform. For instance, with Envira Gallery, you can create stunning portfolios of pictures for customers to browse through and buy. Here are some of our favorite WordPress eCommerce plugins to help you make your decision. By far the best-known eCommerce platform for WordPress, WooCommerce is a comprehensive selling solution that allows photographers to sell both digital goods, like photo downloads, and physical goods, like framed pictures. With hundreds of paid and free extensions to choose from to help you improve your customer’s online experience, WooCommerce makes it easier to enhance and build your store, so you can start selling products easily. WooCommerce is naturally bundled with PayPal, cash on delivery and BACs, and you can add extra payment gateway add-ons too. Additionally, if you’re looking for a custom-made online store, then you can always turn to the WooCommerce community. It’s full of developers who can create you a perfect eCommerce experience from scratch. 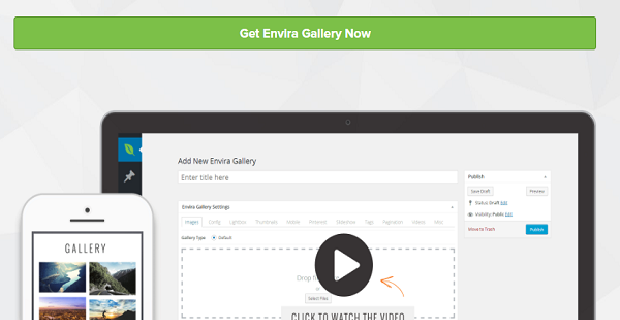 You can also use Envira Gallery’s WooCommerce Addon to integrate your photo gallery with WooCommerce. Another incredibly well-known option when it comes to WordPress eCommerce plugins. Lemonstand is ideal for anyone who wants to create a beautiful but simple online store for their photography business. It’s more of an eCommerce platform than a plugin per se, but it integrates with WordPress flawlessly. The Lemonstand UI is all about usability and accessibility, so you shouldn’t have trouble creating a system that works for you. There are also more than 100 different applications available if you need extra assistance with anything from marketing to accounting and shipping. One of the best things about Lemonstand is that it delivers a fantastic customer experience, so you can rest assured that your clients will keep coming back for more. Easy Digital Downloads is one of the WordPress eCommerce plugins on the market that seems most suited to photographers and selling digital products. If you’re looking for a way to simply sell photo downloads, then this lightweight plugin comes with all the must-have features you need to start making money without the hassle. You’ll find dozens of extensions that can boost the functionality of your store with very little trouble at all. Options like WooCommerce are also great for helping you to sell digital products on your online store. But they aren’t as simple and concise as Easy Digital Downloads – made specifically to get the most out of a digital business. If you don’t want to be bogged down by other extensions, tools, and applications that come with options like WooCommerce, then EDD could be perfect for you. We use EDD here at Envira Gallery and highly recommend it. Shopp is all about giving you more flexibility and growth potential for your WordPress website. Not only does it give you a way to sell your digital and physical products to your photography customers, but it also provides a sound security system to protect both your clients and yourself from a host of digital threats. Shopp also comes pre-packaged with tools that help improve the loading times of your product catalogs and enhance conversions too. 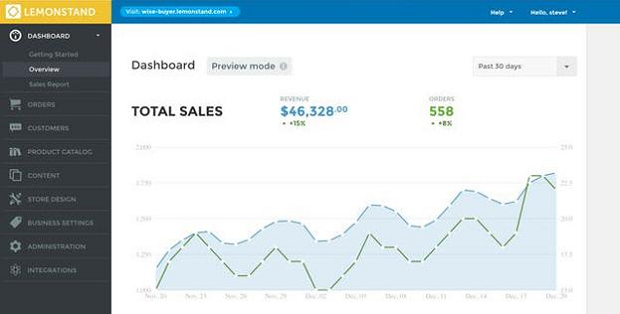 If you’re worried about getting started with sales online, Shopp comes with plenty of great templates to help. You can add as many features and professional extras as you like too. Another highly-popular cloud-hosted eCommerce platform, BigCommerce is great for getting your online store up and running quickly. Well-suited for small to mid-sized businesses, BigCommerce provides a fantastic range of features out of the box, without any costly transaction fees or added plugins to pay for. BigCommerce also ships with plenty of responsive eCommerce templates to choose from. The more options you have to choose from, the better your chances of creating a stunning custom eCommerce strategy. One particularly attractive thing about BigCommerce is that it comes with bundling segmentation and discounting tools to seamlessly drive more sales to your online business. When you use BigCommerce on WordPress, you can simply embed your products directly into your site. BigCommerce recently started creating its own end-to-end eCommerce engine for WordPress. This makes it incredibly easy to integrate everything into your WordPress photography site. This plugin is still in Beta, but it could have a lot to offer in the future. Finally, if you’re looking for an eCommerce plugin that provides you with absolute peace of mind, for both your company and your customers, you can’t go wrong with Cart66. This unique eCommerce plugin is particularly good for people just starting their business, as it ensures that your store is instantly PCI DSS compliant. This means you’ll have the right security to accept credit card payments with your store. Of course, you’ll still need a fully-optimized WordPress hosting service provider before you’re totally ready to go security-wise. Check out our top WordPress hosting picks here. Cart66 is a plugin designed to help modern photographers sell both digital and physical products. It allows customers to create custom accounts for shopping so they can become repeat clients too. If you’re using Cart66 for the first time, you also get free storage from Amazon Web Services to get you started, along with a MailChimp subscription, and access to almost 100 payment gateways to choose from. Cart66 even has a recurring billing engine, which helps you access discounts and include taxes on your prices at checkout. As with most things in running an online photography business, there’s no one-size-fits-all solution to the best WordPress eCommerce plugin. Ultimately, you’ll need to work on finding the plugin that suits your needs and integrates properly with the other tools you’re using to keep your customers engaged online. Which eCommerce plugins do you use for your Photography business? Let us know in the comments below, or follow us today on Twitter or Facebook for the latest insights!